Note : The above schedule is subject to changes. Changes may happen due to exigencies on the part of investors / Company. We wish to inform you that pursuant to NSE Circular Ref No: NSE/CML/2019/11 dated 2nd April, 2019 about Clarification regarding trading restriction period and the Code of Conduct for Prevention of Insider Trading in the securities of Greaves Cotton Limited (“Code”), the “Trading Window” have been closed for all Designated Persons (including their immediate relatives, as defined in the code) with effect from Thursday, 4th April, 2019 till 48 hours after the announcement of the Audited Financial Results for the 4th quarter and year ended 31st March, 2019, to the public. Further, we wish to inform you that the Presentation which was sent to the Stock Exchanges vide our letter dated 4th February, 2019 and uploaded on the Company’s website www.greavescotton.com in the ‘investors’ section will be shared with the above Analyst / Institutional Investor. .Valuequest Investment Advisor Pvt. Ltd.
.Bajaj Allianz Life Insurance Company Ltd.
Further, we wish to inform you that the Presentation which was sent to the Stock Exchanges vide our letter dated 4th February, 2019 and uploaded on the Company’s website www.greavescotton.com in the ‘investors’ section will be shared with the above Analyst / Institutional Investors. Extended the term of Mr. Arvind Singhal as an Independent Director with effect from 1st April, 2019, for a period of five years, subject to the approval of the shareholders at the next Annual General Meeting of the Company. He is having rich experience in Retail Marketing Strategy and Strategic Business Planning. He is not related to any Director of the Company. Extended the term of Mr. Navneet Singh as an Independent Director with effect from 1st April, 2019, till the next Annual General Meeting of the Company. He is having rich experience in Banking, Regulatory Compliances and Operational Risk Management. He is not related to any Director of the Company. Approved the Unaudited Financial Results of the Company for the 3rd quarter and nine months ended 31st December, 2018. The Statement of Unaudited Financial Results, together with the Limited Review Report is attached. Declared an Interim Dividend of Rs.4 per equity share (200%) of the face value of Rs.2/- for the financial year ending 31st March, 2019. The record date for payment of this interim dividend will be 14th February, 2019 (as has been intimated vide our letter dated 25th January, 2019). Interim dividend will be paid to the entitled shareholders on or before 26th February, 2019. The meeting of the Board of Directors commenced at 2:15 p.m. and concluded at 5.55 p.m.
We wish to inform you that pursuant to Regulation 30(6) of the SEBI (Listing Obligations and Disclosure Requirements) Regulations, 2015, Quarterly Earnings Call is scheduled to be held on Tuesday, 5th February, 2019 to discuss the company’s financial performance for the third quarter and nine months ended 31st December, 2018 and the way forward. Please find attached the details of Conference Dial-In Numbers. Pursuant to Regulation 29 of SEBI (Listing Obligations and Disclosure Requirements) Regulations, 2015, we wish to inform you that a Meeting of the Board of Directors of the Company will be held on Monday, 4th February, 2019, inter alia, to consider and approve the Unaudited Financial Results of the Company for the third quarter and nine months ended 31st December, 2018. The Board of Directors will also consider the proposal of declaration of an Interim Dividend for the financial year 2018-19, at the said Meeting. Pursuant to Regulation 42 of SEBI (Listing Obligations and Disclosure Requirements) Regulations, 2015, we further wish to inform you that Thursday 14th February, 2019, will be the “Record Date” for determining the Members’ entitlement to the said Interim Dividend, if declared by the Board of Directors of the Company. .
We wish to inform you that pursuant to the Code of Conduct for Prevention of Insider Trading in the Securities of Greaves Cotton Limited, the Trading window for dealing in the shares of the Company would remain closed for all Designated Persons (including their immediate relatives, as defined in the code) from 10th January, 2019 till 48 hours after the announcement of the Unaudited Financial Results for the third quarter ended 31st December, 2018 to the public..
Also find attached the Presentation that will be shared with the above Analyst / Institutional Investors. The Board of Directors at its Meeting held today has, inter alia, approved the unaudited Financial Results of the Company for the second quarter and half year ended 30th September, 2018. The Statement of unaudited Financial Results, together with the Limited Review Report is attached herewith. The meeting of the Board of Directors commenced at 11:45 a.m. and concluded at 2.55 p.m.
We wish to inform you that pursuant to Regulation 30(6) of the SEBI (Listing Obligations and Disclosure Requirements) Regulations, 2015, Quarterly Earnings Call is scheduled to be held on Thursday, 1st November, 2018 to discuss the company’s financial performance for the second quarter and half year ended 30th September, 2018 and the way forward. Please find attached the details of Conference Dial-In Numbers. Pursuant to Regulation 29 of SEBI (Listing Obligations and Disclosure Requirements) Regulations, 2015, we wish to inform you that a Meeting of the Board of Directors of the Company will be held on Thursday, 1st November, 2018, to consider, inter alia, the approval of the unaudited Financial Results of the Company for the second quarter and half year ended 30th September, 2018. We wish to inform you that pursuant to the Code of Conduct for Prevention of Insider Trading in the Securities of Greaves Cotton Limited, the Trading window for dealing in the shares of the Company would remain closed for all Designated Persons (including their immediate relatives, as defined in the code) from 10th October, 2018 till 48 hours after the announcement of the Unaudited Financial Results for the quarter ended 30th September, 2018 to the public. Vide our letter dated 24th September, 2018, we had intimated about the schedule of Analyst/Institutional Investor Meetings. Further, we wish to inform you that the Presentation which was sent to the Stock Exchanges vide our letter dated 14th August, 2018 and uploaded on the Company’s website www.greavescotton.com in the ‘investors’ section will be shared with the above Analyst / Institutional Investors. We wish to inform you that pursuant to Regulation 30(6) of the SEBI (Listing Obligations and Disclosure Requirements) Regulations, 2015, an Investors Call is scheduled to be held on 30th August, 2018 at 17.30 hrs IST to discuss about the proposed investment in Ampere Vehicles Private Limited. The details of Conference Dial-In Numbers are attached herewith. The Board of Directors of the Company at its meeting held on 29th August, 2018, has approved the proposal of investment in Ampere Vehicles Private Limited. The details as required to be disclosed pursuant to the Regulation 30 of SEBI (Listing Obligations and Disclosure Requirements) Regulations, 2015 is attached. The Press Release being issued by the Company in this regard is also attached. Mr. Amit K. Vyas has tendered his resignation as Company Secretary and Compliance officer of the Company effective from the close of business hours on 13th August, 2018. The Board of Directors of the Company at its meeting held on 13th August, 2018 has appointed Mr. Atindra Basu as the Company Secretary and Compliance Officer of the Company with effect from 14th August, 2018. Mr. Basu is a graduate in law and qualified Company Secretary and having experience of more than 16 years in the field of Legal Advisory & Contract Management, Mergers & Acquisitions, Litigation & Dispute Management and Legal Compliance & Training. He will be a Key Managerial Personnel authorised for the purpose of Regulation 30(5) of SEBI (Listing Obligation and Disclosure Requirements) Regulations, 2015, in addition to the Managing Director and Chief Financial Officer authorised earlier. The Board of Directors at its Meeting held today has, inter alia, approved the unaudited Financial Results of the Company for the 1st quarter ended 30th June, 2018. The Statement of unaudited Financial Results, together with the Limited Review Report is attached herewith. The meeting of the Board of Directors commenced at 11:30 a.m. and concluded at 2.15p.m. This is further to our letter dated 31st July, 2018, wherein we had intimated about the Investor Call Scheduled to be held on Tuesday, 14th August, 2018. The details of Conference Dial-In Numbers are attached here with. We wish to inform you that pursuant to Regulation 30(6) of the SEBI (Listing Obligations and Disclosure Requirements) Regulations, 2015, an Investors Call is scheduled to be held on Tuesday, 14th August, 2018 to discuss the unaudited financial results of the Company for the first quarter ended 30th June, 2018. Pursuant to Regulation 29 of SEBI (Listing Obligations and Disclosure Requirements) Regulations, 2015, we wish to inform you that a Meeting of the Board of Directors of the Company will be held on Monday, 13th August, 2018, inter alia, to consider and approve the Unaudited Financial Results of the Company for the first quarter ended 30th June, 2018. We wish to inform you that pursuant to the Code of Conduct for Prevention of Insider Trading in the Securities of Greaves Cotton Limited, the Trading window for dealing in the shares of the Company would remain closed for all Designated Persons from 10th July, 2018 till 48 hours after the announcement of the Unaudited Financial Results for the quarter ending 30th June, 2018 to the public. Further, we wish to inform you that the Presentation which was sent to the Stock Exchanges vide our letter dated 4th May, 2018 and uploaded on the Company’s website www.greavescotton.com in the ‘investors’ section will be shared with the above Analyst / Institutional Investors. Further, we wish to inform you that the Presentation which was sent to the Stock Exchanges vide our letter dated 9th February, 2018 and uploaded on the Company’s website with the link http://www.greavescotton.com/php/media/brochure_files/investorpr-e85866f645f8be8.pdf will be shared with the above Analyst / Institutional Investor. Further, we wish to inform you that the Presentation which was sent to the Stock Exchanges vide our letter dated 4th May, 2018 and uploaded on the Company’s website www.greavescotton.com in the ‘investors’ section will be shared with the above Analyst / Institutional Investor. * As intimated vide our letter dated 18th May, 2018, the meeting with Quantum Securities was scheduled on 23rd May, 2018. Now it has been scheduled on 24th May, 2018.
approved the Audited Financial Results of the Company for the fourth quarter and Financial Year ended 31st March, 2018, as reviewed by the Audit Committee. recommended a final dividend of Rs.1.50 per equity share (75%) of the face value of Rs.2 for the financial year ended 31st March, 2018. The final dividend, if approved by the Shareholders, will be paid on or after Friday, 17th August, 2018. The 99th Annual General Meeting of the Company will be convened on Monday, 13th August, 2018. The Register of Members and Share Transfer Books will be closed from Tuesday, 7th August, 2018 to Monday, 13th August, 2018 (both days inclusive) for the purpose of the said Annual General Meeting and to ascertain the eligibility for final dividend. The final dividend, if approved by the Shareholders, will be paid on or after Friday, 17th August, 2018. We wish to inform you that pursuant to Regulation 30(6) of SEBI (Listing Obligations and Disclosure Requirements) Regulations, 2015, the Company is organising an Analyst Meet on 4th May, 2018 (Friday) at 4:00 pm, to discuss the Company’s financial performance for the year ended 31st March, 2018 and the way forward. The details of the Analyst Meet are attached here with. Pursuant to Regulation 29 of SEBI (Listing Obligations and Disclosure Requirements) Regulations, 2015, we wish to inform you that a Meeting of the Board of Directors of the Company will be held on Thursday, 3rd May, 2018, to consider, inter alia, the approval of the audited Financial Results of the Company for the fourth quarter and financial year ended 31st March, 2018 and the recommendation of final dividend, if any, for the said financial year. Pursuant to the Code of Conduct for Prevention of Insider Trading in the Securities of Greaves Cotton Limited, the Trading window for dealing in the securities of the Company would remain closed for all Designated Persons from 16th March, 2018 till the second day after the date of the Board Meeting at which the Financial Results of the Company for the quarter & year ending on 31st March, 2018 would be considered. Further, we wish to inform you that the Presentation which was sent to the Stock Exchanges vide our letter dated 9th February, 2018 and uploaded on the Company’s website with the link http://www.greavescotton.com/php/media/brochure_files/investorpr-e85866f645f8be8.pdf will be shared with the above Analyst / Institutional Investors. Note : The above schedule is subject to changes. Changes may happen due to exigencies on the part of investors/Company. Approved the unaudited Financial Results of the Company for the 3rd quarter and nine months ended 31st December, 2017. Appointed Ms. Neetu Kashiramka as the Chief Financial Officer of the Company with effect from 5th February, 2018, in place of Mr. Narayan Barasia. Mr. Barasia will continue to lead the Auxiliary Power Business of the Company. Ms. Kashiramka, a qualified Chartered Accountant, comes with vast experience of more than 20 years in the field of Finance and Accounts. She has also handled IPO, QIP, Mergers & Acquisition, strategic planning, fund raising, Investors Relations in her earlier assignments. She will be a Key Managerial Personnel authorised for the purpose of Regulation 30(5) of SEBI (Listing Obligations and Disclosure Requirements) Regulations, 2015, in addition to the Managing Director and the Company Secretary authorised earlier. Declared an Interim Dividend of Rs.4 per equity share (200%) of the face value of Rs.2/- for the financial year ending 31st March, 2018. The record date for payment of this interim dividend will be 15th February, 2018 (as has been intimated vide our letter dated 23rd January, 2018). Interim dividend will be paid to the entitled shareholders on or before 27th February, 2018. An Investors Call is scheduled to be held on Monday, 12th February, 2018 to discuss the unaudited financial results of the Company for the third quarter and nine months ended 31st December, 2017. Pursuant to Regulation 29 of SEBI (Listing Obligations and Disclosure Requirements) Regulations, 2015, we wish to inform you that a Meeting of the Board of Directors of the Company will be held on Monday, 5th February, 2018, inter alia, to consider and approve the Unaudited Financial Results of the Company for the third quarter and nine months ended 31st December, 2017. The Board of Directors will also consider the declaration of an Interim Dividend for the financial year 2017-18, at the said Meeting. Pursuant to Regulation 42 of SEBI (Listing Obligations and Disclosure Requirements) Regulations, 2015, we further wish to inform you that Thursday, 15th February, 2018, will be the “Record Date” for determining the Members’ entitlement to the said Interim Dividend, if declared by the Board of Directors of the Company. Pursuant to the Code of Conduct for Prevention of Insider Trading in the Securities of Greaves Cotton Limited, the Trading window for dealing in the shares of the Company would remain closed for all Designated Persons from 15th December, 2017 till the second day after the date of the Board Meeting at which the unaudited financial results of the Company for the quarter ending on 31st December, 2017, would be considered. An Investors Call is scheduled to be held on Tuesday, 7th November, 2017 to discuss the unaudited financial results of the Company for the second quarter and half year ended 30th September, 2017. The Board of Directors at its Meeting held today has, inter alia, approved the unaudited Financial Results of the Company for the 2nd quarter and half year ended 30thSeptember, 2017. The Statement of unaudited Financial Results, together with the Limited Review Report is attached. Mr. Vijay Rai has been a Director of Greaves Cotton Limited (‘’the Company’’) since March 2002. The second tenure of Mr. Rai as an Independent Director was upto 12th October, 2017, and thus, as per the provisions of the Companies Act. 2013, he ceased to be an Independent Director of the Company from the close of business hours on 12th October, 2017. Mr. Rai is having rich experience in varied fields especially in farm business. In order to continue to avail the benefit of his rich experience, the Board has appointed him as an Additional Director (non-executive, non-independent) with effect from 13th October, 2017. Mr. Rai is not related to any Director of the Company. Pursuant to the Code of Conduct for Prevention of Insider Trading in the Securities of Greaves Cotton Limited, the Trading window for dealing in the shares of the Company would remain closed for all Designated Persons from 15th September, 2017 till the second day after the date of the Board Meeting at which the unaudited financial results of the Company for the quarter ending on 30th September, 2017, would be considered. Approved the unaudited Financial Results of the Company for the 1stquarter ended 30th June, 2017. The Statement of unaudited Financial Results, together with the Limited Review Report is attached. Appointed of Mr. Vinay Sanghi as an Additional Director (Non-executive) of the Company. He is also appointed as an Independent Director of the Company for a term of 3 years with effect from 4th August, 2017, subject to the approval of the shareholders at the 99th Annual General Meeting of the Company. He is the Promoter & CEO of MXC Solutions India Pvt. Ltd, which has been the driving force behind CarTrade.com since its inception in 2009. With almost two decades of experience, he is a well-recognized leader in the auto industry. He has a demonstrated track record of excellence in the industry and has been responsible for conceptualizing and executing numerous successful business ventures. Mr. Vinay Sanghi is not related to any Director of the Company. Pursuant to Regulation 29 of SEBI (Listing Obligations and Disclosure Requirements) Regulations, 2015, a Meeting of the Board of Directors of the Company will be held on Thursday, 3rd August, 2017, inter alia, to consider and approve the Unaudited Financial Results of the Company for the first quarter ended 30th June, 2017. Pursuant to Code of Conduct for Prevention of Insider Trading in the Securities of Greaves Cotton Limited, the trading window of the Company will remain closed from Thursday, 15th June, 2017 till 48 hours after the announcement of the Unaudited Financial Results for the quarter ending 30th June, 2017, to the public. An Investors Call is scheduled to be held on Friday, 5th May, 2017 at 11:00 a.m. to discuss the performance of the Company for the fourth quarter and Financial Year ended 31st March, 2017. Audit Report(s) on Standalone and Consolidated audited Financial Results. We hereby confirm that the said Audit Report(s) are with unmodified opinion. Recommended a final dividend of Rs.1.50 per equity share ( 75 %) of the face value of Rs.2 for the financial year ended 31st March, 2017. Decided to convene the 98th Annual General Meeting of the Company on Thursday, 3rd August, 2017 and close the Register of Members and Share Transfer Books from Friday, 28th July, 2017 to Thursday, 3rd August, 2017 (both days inclusive) for the purpose of the Company's 98th Annual General Meeting and to ascertain the eligibility for final dividend. The final dividend, if approved by the Shareholders, will be paid on or after Monday, 7th August, 2017. Pursuant to Regulation 29 of SEBI (Listing Obligations and Disclosure Requirements) Regulations, 2015, we wish to inform you that a Meeting of the Board of Directors of the Company will be held on Thursday, 4th May, 2017, to consider, inter alia, the approval of the audited Financial Results of the Company for the fourth quarter and financial year ended 31st March, 2017 and the recommendation of final dividend, if any, for the said financial year. Pursuant to Code of Conduct for Prevention of Insider Trading in the Securities of Greaves Cotton Limited, the trading window of the Company will remain closed from Wednesday, 15th March, 2017 till 48 hours after the announcement of the Audited Financial Results for the quarter & year ending 31st March, 2017, to the public. Approved the Unaudited Financial Results of the Company for the 3rd quarter and nine months ended 31st December, 2016. Appointed Ms. Sree Patel as an Additional Director (Non-executive) of the Company. She is also appointed as an Independent Director of the Company for a term of 3 years with effect from 14th February, 2017, subject to the approval of the shareholders at the forthcoming Annual General Meeting of the Company. She brings over 30 years of experience in the Legal, Company Secretariat, Indirect Tax, Government Affairs and Compliance functions. Ms. Patel is not related to any Director of the Company. Appointed Mr. Amit K. Vyas as the Company Secretary and Compliance Officer of the Company with effect from 14th February, 2017. He is having experience of more than 20 years in the Legal, Compliance and Corporate Secretarial functions. He will be a Key Managerial Personnel authorised for the purpose of Regulation 30(5) of SEBI (Listing Obligations and Disclosure Requirements) Regulations, 2015, in addition to the Managing Director and the Chief Financial Officer authorised earlier. Declared an Interim Dividend of Rs. 4/- per equity share (200%) of the face value of Rs. 2/- for the financial year ended 31st March, 2017. The record date for payment of this interim dividend will be 24th February, 2017 (as has been intimated vide our letter dated 31st January, 2017). Interim dividend will be paid to the entitled shareholders on or before 8th March, 2017. An Investors Call is scheduled to be held on Thursday, 16th February, 2017 to discuss the unaudited financial results for the third quarter and nine months ended 31st December, 2016. Pursuant to Regulation 29 of SEBI (Listing Obligations and Disclosure Requirements) Regulations, 2015, a Meeting of the Board of Directors of the Company will be held on Tuesday, 14th February, 2017, inter alia, to consider and approve the Unaudited Financial Results of the Company for the third quarter and nine months ended 31st December, 2016. The Board of Directors will also consider the declaration of an Interim Dividend for the financial year 2016-17, at the said Meeting. Pursuant to Regulation 42 of SEBI (Listing Obligations and Disclosure Requirements) Regulations, 2015, please note that Friday 24th February, 2017, will be the "Record Date" for determining the Members' entitlement to the said Interim Dividend, if declared by the Board of Directors of the Company. Pursuant to the Code of Conduct for Prevention of Insider Trading in the securities of Greaves Cotton Limited, the Trading Window shall remain closed from Thursday, 15th December, 2016 till 48 hours after the announcement of the Financial Results for the quarter ending 31st December, 2016, to the public. Approved the Unaudited Financial Results of the Company for the 2nd quarter and half year ended 30th September, 2016 (the Financial Results). The Audit Committee reviewed the Financial Results at its Meeting held on 4th November, 2016 which have been subjected to a limited review by the Statutory Auditors. An Investors Call is scheduled to be held on Thursday, 10th November, 2016 at 10:00 a.m. The Board of Directors of the Company at its meeting held earlier today has appointed Mr. Nagesh Basavanhalli as an Additional Director of the Company with effect from 27th September, 2016. He was also appointed as the Managing Director & CEO of the Company with effect from the same date for a period of 3 years. Mr. Basavanhalli is a Global Automotive Executive with more than 20 years of rich and varied experience of working with multiple OEMs (FIAT Chrysler, Daimler Chrysler). His last assignment was with ATG Group as Group President heading businesses for Emerging Markets. He was previously the President & Managing Director of FIAT Chrysler India. Mr. Basavanhalli is not related to any Director of the Company. The appointment and remuneration are subject to the approval of the Shareholders of the Company. Mr. Basavanhalli will be the Key Managerial Personnel authorised for the purpose of Regulation 30 (5) of the SEBI (Listing Obligations and Disclosure Requirements) Regulations, 2015, in addition to the Company Secretary and the Chief Financial Officer authorised earlier. Ms. Monica Chopra, vide her letter dated 26th September, 2016, has tendered her resignation as Director, Company Secretary and Compliance Officer of the Company, for personal reasons. The resignation is effective 26th December, 2016. Mr. Sunil Pahilajani, vide his letter dated 15th September, 2016, has tendered his resignation as Managing Director and CEO of the Company, due to personal reasons. The resignation is effective from the close of the business hours on 15th September, 2016. Pursuant to the Code of Conduct for Prevention of Insider Trading in the securities of Greaves Cotton Limited, the Trading Window shall remain closed from Thursday, 15th September, 2016 till 48 hours after the announcement of the unaudited Financial Results for the quarter ending 30th September, 2016, to the public. An Investors Call is scheduled to be held on Tuesday, 27th September, 2016 at 10:00 a.m.
An Investors Call is scheduled to be held on Monday, 8th August, 2016 at 11:30 a.m.
Approved the Unaudited Financial Results of the Company for the 1st quarter ended 30th June, 2016 (the Financial Results). The Audit Committee reviewed the Financial Results at its Meeting held earlier today which have been subjected to a limited review by the Statutory Auditors. The 97th Annual General Meeting, which was scheduled on Tuesday, 2nd August, 2016, has been rescheduled to Monday, 26th September, 2016. Consequently, the Register of Members and Share Transfer Register, will now remain closed from Tuesday, 20th September, 2016 to Monday, 26th September, 2016 (both days inclusive) for the purpose of the 97th Annual General Meeting and ascertaining the eligibility for the final dividend. The final dividend, if approved by the Shareholders, will be paid on or after Thursday, 20th October, 2016. Pursuant to the Code of Conduct for Prevention of Insider Trading in the securities of Greaves Cotton Limited, the Trading Window shall remain closed from Wednesday, 15th June, 2016 till 48 hours after the announcement of the Financial Results for the quarter ending 30th June, 2016, to the public. Approved the audited Financial Results of the Company along with the Segment-wise Report for the fourth quarter and financial year ended 31st March, 2016, as reviewed by the Audit Committee at its Meeting held on 5th May, 2016. Recommended a final dividend of Re.1 per equity share (50%) of the face value of Rs.2 for the financial year ended 31st March, 2016. Decided to convene the 97th Annual General Meeting (AGM) of the Company on Tuesday, 2nd August, 2016 and close the Register of Members and Share Transfer Books from Wednesday, 27th July, 2016 to Tuesday, 2nd August, 2016 (both days inclusive) for the purpose of the Company’s 97th AGM and to ascertain the eligibility for final dividend. The final dividend, if approved by the Shareholders, will be paid on or after Monday, 29th August, 2016. Approved the appointment of Mr. Kewal Handa as an Additional Director (Independent) of the Company with effect from 6th May, 2016 to hold office till the forthcoming 97th AGM of the Company. He has a diverse experience in finance, marketing and expertise in strategic business planning, etc. Mr. Handa is not related to any of the Directors of the Company. Approved the re-appointment of Mr. Sunil Pahilajani as the Managing Director & CEO of the Company with effect from 5th November, 2016, subject to the approval of the shareholders at the forthcoming 97th AGM of the Company. He has multi-disciplinary experience of over 31 years in various companies. Mr. Pahilajani is not related to any of the Directors of the Company. Approved the change of Registrar to an Issue and Share Transfer Agent (RTA) from Sharepro Services (India) Private Limited (Sharepro) to Karvy Computershare Private Limited (Karvy), pursuant to the Securities and Exchange Board of India (SEBI) Order dated 22nd March, 2016, restraining Sharepro from buying, selling or dealing in the securities market and advising clients of Sharepro to carry out/switchover their RTA related activities to another RTA registered with SEBI. An Earnings Call is scheduled to be held on Monday, 9th May, 2016 at 10:30 a.m.
Pursuant to Code of Conduct for Prevention of Insider Trading in the Securities of Greaves Cotton Limited, the trading window of the Company will remain closed from Tuesday, 15th March, 2016 till 48 hours after the announcement of the audited Financial Results for the year ended 31st March, 2016, to the public. A Quarterly Earnings Call is scheduled to be held on Monday, 8th February, 2016 at 12:00 noon. Pursuant to Regulation 29 of SEBI (Listing Obligations & Disclosure Requirements) Regulations, 2015, a Meeting of the Board of Directors of the Company will be held on Wednesday, 3rd February, 2016, inter alia, to consider and approve the Unaudited Financial Results of the Company for the third quarter and nine months ended 31st December, 2015. There will be no presentations since this will be a question answer session. However, no unpublished price sensitive information will be shared at the meeting. The Board of Directors at its Meeting held today has, inter alia, approved the Financial Results of the Company for the 2nd quarter and half year ended 30th September, 2015 (the Financial Results). The Audit Committee reviewed the Financial Results at its Meeting held earlier today which have been subjected to a limited review by the Statutory Auditors. Pursuant to the Code of Conduct for Prevention of Insider Trading in the securities of Greaves Cotton Limited (“Code”), the Trading Window shall remain closed from Monday, 19th October, 2015 to Wednesday, 4th November, 2015 (both days inclusive) for the purpose of considering the unaudited financial results for the quarter ended 30th September, 2015. A Meeting of the Board of Directors of the Company will be held on Monday, 2nd November, 2015, inter alia, to consider and approve the Unaudited Financial Results of the Company for the second quarter and half year ended 30th September, 2015. The Company, at its 96th Annual General Meeting held on 6th August, 2015, has declared a Final Dividend of Rs.1.10 paise per Equity Share of Rs.2/- for the Financial Year 2014 - 15. The Dividend shall be paid to the eligible Shareholders on or after 2nd September, 2015. Approved the Unaudited Financial Results of the Company for the 1st quarter ended 30th June, 2015 (the Financial Results). The Audit Committee reviewed the Financial Results at its Meeting held earlier today which have been subjected to a limited review by the Statutory Auditors. Noted the resignation of Dr. Clive Hickman as a Director of the Company with effect from closure of the Office hours today. A Meeting of the Board of Directors of the Company will be held on Thursday, 30th July, 2015, inter alia, to consider and approve the Unaudited Financial Results of the Company for the quarter ended 30th June, 2015. The 96th Annual General Meeting, which was scheduled on Thursday, 20th August, 2015, has been rescheduled to Thursday, 6th August, 2015. Consequently, the Register of Members and the Share Transfer Register, will now remain closed from Saturday, 1st August, 2015 to Thursday, 6th August, 2015 (both days inclusive) for the purpose of 96th Annual General Meeting and ascertaining the eligibility for the final dividend. The final dividend, if approved by the Shareholders, will be paid on or after Wednesday, 2nd September, 2015. Approved the audited Financial Results of the Company along with the Segment-wise Report for the financial year ended 31st March, 2015 as reviewed by the Audit Committee at its Meeting held on 5th May, 2015. Recommended a final dividend at the rate of Rs.1.10 per equity share of the face value of Rs.2 for the financial year ended 31st March, 2015. Decided to convene the 96th Annual General Meeting of the Company on Thursday, 20th August, 2015 and close the Register of Members and Share Transfer Books from Friday, 14th August, 2015 to Thursday, 20th August, 2015 (both days inclusive) for the purpose of the Company's 96th Annual General Meeting and to ascertain the eligibility for the entitlement of final dividend. The final dividend, if approved by the Shareholders, will be paid on or after Friday, 17th September, 2015. Formulated the Code of Practices and Procedures for Fair Disclosure of Unpublished Price Sensitive Information pursuant to SEBI (Prohibition of Insider Trading) Regulations 2015. Approved the audited Financial Results of the Company along with the Segment-wise Report for the financial year ended 31st March, 2014 as reviewed by the Audit Committee at its Meeting held on 29th April, 2014. Recommended a final dividend at the rate of Rs.0.60 per equity share of the face value of Rs.2 for the financial year ended 31st March, 2014. Decided to convene the 95th Annual General Meeting of the Company on Thursday, 31st July, 2014 and close the Register of Members & Share Transfer Books from Tuesday, 22nd July, 2014 to Thursday, 31st July, 2014 (both days inclusive) for the purpose of Company's 95th Annual General Meeting and to ascertain the eligibility for the entitlement of final divided. The final dividend, if approved by the Shareholders, will be paid on or after Friday, 22nd August, 2014. The Board of Directors of the Company has approved the appointment of Ms. Monica Chopra as an Additional Director with effect from 1st August, 2014 to hold the Office till the next Annual General Meeting of the Company. The appointment of Ms. Monica Chopra as a Whole-time Director of the Company with effect from 1st August, 2014 for a period of three years, subject to the approval of the Shareholders. The following policies in compliance with the requirements of the revised Clause 49 of the Listing Agreement. A Meeting of the Board of Directors of the Company will be held on Wednesday, 6th May, 2015 to consider, inter alia, the approval of the audited Financial Results of the Company for the fourth quarter and the financial year ended 31st March, 2015, and the recommendation of final dividend for the said financial year. The Board of Directors at its Meeting held on 5th February, 2015 has, inter alia, approved the Unaudited Financial Results of the Company for the third quarter and nine months ended 31st December, 2014. A Meeting of the Board of Directors of the Company will be held on Thursday, 5th February, 2015, inter alia, to consider and approve the Unaudited Financial Results of the Company for the third quarter and nine months ended 31st December, 2014. The Board of Directors at its Meeting held on 4th November, 2014 has, inter alia, approved the Unaudited Financial Results of the Company for the second quarter and half year ended 30th September, 2014. A Meeting of the Board of Directors of the Company will be held on Tuesday, 4th November, 2014, inter alia, to consider and approve the Unaudited Financial Results of the Company for the second quarter and half year ended 30th September, 2014. The Company has permanently closed the manufacturing operations at its Construction Equipment Business plants due to non-viability and to avoid incurring further losses. The Board of Directors has declared an Interim Dividend for the financial year 2014-15 at the rate of Rs.1.40 (70%) per Equity Share of Rs.2. Friday, 5th September, 2014 shall be the "Record Date" for determining the Members’ eligibility for the aforesaid Dividend and the same shall be paid on or after Friday, 26th September, 2014 to the eligible Members. The Board of Directors of the Company will consider the declaration of interim dividend for financial year 2014-15 on Saturday, 30th August, 2014. Friday, 5th September, 2014, shall be the "Record Date" for determining the Members' entitlement to the aforesaid dividend, if declared. The Company has decided to suspend operations at its Construction Equipment Business plant at Gumidipoondi, Tamil Nadu, on account of challenging market condtions. A Meeting of the Board of Directors of the Company will be held on Thursday, 31st July, 2014, inter alia, to consider and approve the Unaudited Financial Results of the Company for the quarter ended 30th June, 2014. A Meeting of the Board of Directors of the Company will be held on Wednesday, 30th April, 2014, to consider, inter alia, the approval of the audited Financial Results of the Company for the fourth quarter and financial year ended 31st March, 2014 and the recommendation of final Dividend for the said financial year. Approved the Unaudited Financial Results of the Company for the third quarter and nine month ended 31st December, 2013. Declared a second Interim Dividend of Rs.0.40 per Equity Share of Rs.2/- each for the financial year 2013-14. The Record Date for the payment of this Dividend is fixed as Tuesday, 18th February, 2014. The said Dividend will be paid on or after Wednesday, 5th March, 2014. A Meeting of the Board of Directors of the Company will be held on Thursday, 6th February, 2014, to consider and approve, inter alia, the Unaudited Financial Results of the Company for the 3rd quarter ended 31st December, 2013 and to consider declaration of a 2nd Interim Dividend for the financial year 2013-14. Tuesday, 18 February, 2014, shall be the Record Date for determining the Members? entitlement to the aforesaid Dividend, if declared. The Board of Directors of the Company has approved the appointment of Mr. Arvind Kumar Singhal as an Additional Director of the Company with effect from 1st November, 2013 to hold office till the next Annual General Meeting of the Company. Mr. Sukh Dev Nayyar has resigned from the Directorship of the Company with effect from the close of business hours on 1st November, 2013 in line with the retirement policy of the Company. The Board of Directors of the Company has approved the closure of the Foundry located at Pune since it is no longer technically compatible with the new product portfolio engines being manufactured. The Board of Directors of the Company has approved the Unaudited Financial Results of the Company for the 2nd Quarter and Half-year ended 30th September, 2013. A Meeting of the Board of Directors of the Company will be held on Friday, 1st November, 2013, inter alia, to consider and approve the Unaudited Financial Results of the Company for the second Quarter and Half-year ended 30th September, 2013. The Company has divested, for strategic purposes, its entire stake in its step-down subsidiary company, Greaves Farymann Diesel GmbH (GFD), Germany. 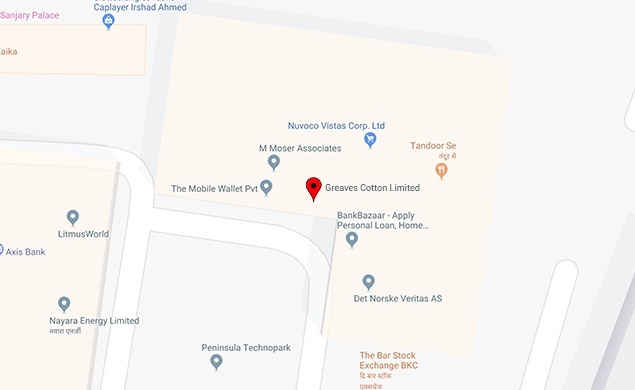 The stake in GFD was held through the Company?s wholly owned subsidiary, Greaves Cotton Netherlands B.V. The Board of Directors of the Company has declared an Interim Dividend of Rs.0.30 per Equity Share of Rs.2/- for the financial year 2013-14. The Record date for the payment of this Dividend is fixed as Wednesday, 25th September, 2013. The said Dividend will be paid on or after Friday, 4th October, 2013. The Company, at its 95th Annual General Meeting held on July 30, 2013, has declared a Final Dividend of Rs.0.50 paise per Equity Share of Rs.2/- for the Financial Year 2012 - 13. The Dividend shall be paid to the eligible Shareholders on or after 9th August, 2013. A Meeting of the Board of Directors of the Company will be held on Tuesday, 30th July, 2013, inter alia, to consider and approve the Unaudited Financial Results for the First Quarter ended 30th June, 2013.
approved the audited financial results for the financial year ended 31st March, 2013.
decided to close the Register of Members & Share Transfer Books of the Company from 23rd July, 2013 to 30th July, 2013 (both days inclusive) for the purpose of determining the eligibility for the final divided and fixed 9th August, 2013 as the payment date of the final dividend, if declared by the Shareholders at the forthcoming Annual General Meeting. The Board of Directors of the Company has declared a Third Interim Dividend of Rs.0.40 per Equity Share of Rs.2/- for the financial year 2012-13. The Record date for the payment of this Dividend is fixed as Tuesday, 12th February, 2013. The said Dividend will be paid on or after Friday, 22nd February, 2013. A Meeting of the Board of Directors of the Company will be held on Wednesday, 30th January, 2013, inter alia, to consider and approve the Unaudited Financial Results for the Third Quarter and Nine Months ended 31st December, 2012 and to consider the declaration of a Third Interim Dividend for the Financial Year 2012-13. % of total response recd. Please click the following link for copy of Postal Ballot Notice and Postal Ballot Form. The Board of Directors of the Company has declared a Second Interim dividend of Rs.0.40 per Equity Share of Rs.2/- for the financial year 2012-13. 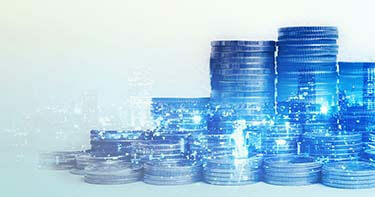 The record date for the payment of this dividend is fixed as November 17, 2012. The said dividend will be paid on November 27, 2012. A Meeting of the Board of Directors of the Company will be held on Friday, November 2, 2012, inter alia, to consider and approve the Unaudited Financial Results for the Second Quarter and Half-year ended 30th September, 2012 and to consider declaration of a second Interim Dividend. The Board of Directors of the Company has declared a First Interim dividend of Rs.0.30 per Equity Share of Rs.2/- for the financial year 2012-13. The record date for the payment of this dividend is fixed as September 18, 2012. The said dividend will be paid on September 26, 2012. The Company, at its 93th Annual General Meeting held on July 30, 2012, has declared a Final Dividend of Rs.0.20 paise per Equity Share of Rs.2/- for the Financial Year 2011 - 2012. The Board of Directors of the Company has recommended a final dividend of Re.0.20 per Equity Share of Rs.2/- each for the financial year 2011-12. The Register of Members & Share Transfer Books of the Company will remain closed from Monday, July 23, 2012 to Monday, July 30, 2012 (both days inclusive). The said divided will be paid on August 10, 2012 upon approval by the Shareholders at the AGM of the Company to be held on July 30, 2012. The Board of Directors of the Company has declared Special Interim dividend of Rs.0.80 per Equity Share of Rs.2/- each for the financial year 2011-12. The record date for the payment of this dividend is fixed as April 13, 2012. The said dividend will be paid on April 19, 2012. The Company has sold its land situated at Old Mahabalipuram Road (Rajiv Salai), Chennai, for a consideration of Rs.80 crores. The Board of Directors of the Company has declared a third interim dividend of Rs.0.40 per Equity Share of Rs.2/- each for the financial year 2011-12. The record date for the payment of this dividend is fixed as February 6, 2012. The said dividend will be paid on February 15, 2012. The Board of Directors of the Company has declared a second interim dividend of Rs.0.40 per Equity Share of Rs.2/- each for the financial year 2011-12. The record date for payment of this dividend is fixed as November 4, 2011. The said dividend will be paid on November 17, 2011. Mr. Prabhaker Dev, Managing Director & CEO of the Company retired and in his place Mr. Sunil Pahilajani is appointed as Managing Director & CEO with effect from November 5, 2011. The Board of Directors of the Company has declared a first interim dividend of Rs.0.40 per Equity Share of Rs.2/- each for the financial year 2011-12. The record date for the payment of this dividend is fixed as September 6, 2011. The said dividend will be paid on September 13, 2011. The Board of Directors of the Company has declared final dividend of Rs.0.70 per Equity Share of Rs.2/- each for the financial year 2010-11. The book closure for payment of this dividend is fixed from July 26, 2011 to July 27, 2011 (inclusive). The said dividend is approved by the Shareholders at the AGM held on July 27, 2011 and will be paid on August 10, 2011. The Company has entered into a Long term supply Agreement with Mahindra and Mahindra Limited (M&M) for supply of single cylinder engines for their three wheeled vehicles. Pursuant to this agreement, Greaves became the single source supplier for 100% needs of M&M's three wheeled vehicles. The Board of Directors of the Company has declared a second interim dividend of Rs.0.40 per Equity Share of Rs.2/- each for the financial year 2010-11. The record date for payment of this dividend is fixed as February 7, 2011. The said dividend will be paid on February 15, 2011.